The Methodist Church was a big part of Reginald's life. The core beliefs of the Church are to promote the religion through growth and health, using bibles teachings and focusing very much on the poor. You can see this was one of the aims of Reginald during his time in Nuneaton. The Wesleyan Methodist's name came from John Wesley (1703-1791), who was devoted to the Church of England religion. He traveled the country spreading the word in his own style. Approaching his work using a set routine, which got him and a few friends the nickname "Methodists". The Stanley name was associated with John Wesley and the Church through the years. Wesley had visited a small town called Alnwick in Northumberland in 1753. 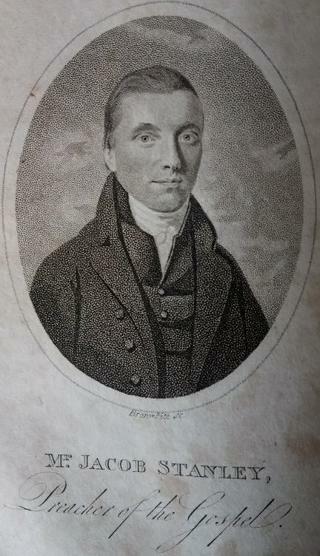 A young man named Edward Stanley heard his preaching that day and at the tender age of seventeen 'set out to serve the Lord', becoming a class leader and local preacher. Edward also gave the Methodist cause two son's Thomas and Jacob (1776-1850), they both went on to be minister's. Jacob, who was Reginald's grandfather also went on to become the President of the Methodist Conference in 1845. The photo on the right is of Jacob, taken from the Methodist Magazine of 1806. The Methodist family link didn't stop there. Jacob had nine children and his faith passed down to his son also named Jacob (1803-1886.) He went on to be a travelling Wesleyan Methodist Minister and during his early life moved all over the country (Cornwall,Glasgow, London and the Midlands). We can now see where Reginald got his travelling instincts from. Jacob Stanley (1776-1850) taken from the Methodist Magazine of 1806, from my small collection of items on the family. The town's churches benefited from Reginald's generosity. He laid many bricks, like the Baptists Church on Manor Court Road, Stockingford Methodist Chapel, Chapel End Methodist and the Whittleford Wesleyan Chapel. But his most prized work, which today is a distant memory, the Wesleyan Church in Abbey Street. You can read all about these Churches and other work of the Methodist's in the links above left. Below is an article found in the Nuneaton & Atherstone Methodist Circuit Magazine of 1898 and shows how much the Methodist influx had on the area. 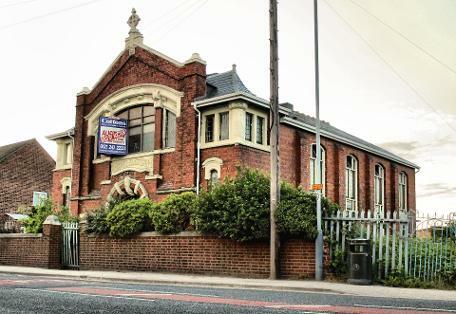 Click Here to read about the Free Methodist Church on Heath End Road. Click Here to read about the Wesleyan Aged Preachers Home Fillongley. The Wesleyan Methodist Circuit Fete had been established for some years now, but since Stanley opened his gates to Manor Court just a year earlier, it had become quite an event on the calendar. This years assemblage was on Thursday July 1st 1898. Again Mr Stanley placed his beautiful gardens at the disposal of the circuit, along with the presence of a special guest from the West London Mission, the world-famed preacher Rev Hugh Price Hughes. With such a famous preacher in the area, this was going to be the biggest gathering of Methodists ever held in the district. 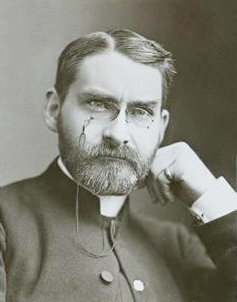 Rev Hugh Price Hughes M.A made an appearance at Reginald's home for the Methodist Circuit Fete in 1898. Superintendent Rev A.B Pinnegar then followed with a prayer, and a few more hymns were sung. Rev Hughes stood and talked about his working with the poor back in London, he touched on how liquor is en-slaving Britain and how becoming a christian is the way out of this evil entrapment. When he had finished, Reginald suggested that the main party be photographed by Clare Speight for the Circuit magazine along with all the guests in one large group shot. Thankfully ive managed to get hold of the magazine with those photo's, see below. Tea was then provided in the marque for around 500. When they were finished, the guests were left to wander and enjoy Manor Court garden and grounds. 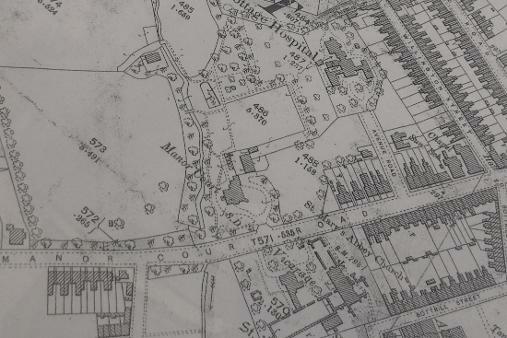 You can see from the map (left) Manor Court and the land where Earls Road is now was Stanley's gardens, the stream still runs through the grounds now and must have been a lovely scene on a summer afternoon back in 1898. The evening meeting saw the numbers swell to 800 and Mr Richard Train (local band leader and Methodist) was at the front playing his harmonium, backed by the united choirs of the circuit, it was a splendid start to the evening speeches. Rev Hughes stood up spoke again, this time about Methodism and that they shouldn't just hold there own, they need to advance as a religion. It ended with the Doxology, a prayer and collection which raised £25, 13s, 8d. Imagine Manor Court Road at the end of the night, 800 people leaving for home, it must have been an amazing thing to witness. Methodism in the town was growing and Reginald Stanley a big part of that, he was happy to help promote the religion his father so staunchly followed. 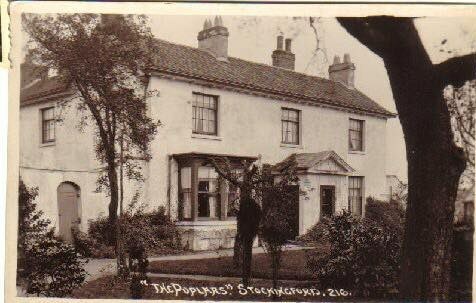 The Poplars, Stockingford, the residence of Mr and Mrs A.H Rogers was yesterday afternoon the scene of a pretty bazaar and garden fete organised in aid of the funds of the Wesleyan Methodist Chapel. Two marquees had been erected and here were staged a charming variety of useful and fancy articles and an abundance of delicacies temptingly arranged. The articles on sale had been presented by many friends and to Mrs Rogers, Miss Bradbury and Miss Atkinson must praise be given for the artistic manner which they were arranged. The rural surroundings were beautified by brightly coloured bannerettes, placed to good advantage. A capital series of entertainments was arranged and a variety of amusements provided, this department being in the hand of Mr Rose. Excellent photos of Mr and Mrs Rogers were on sale (weird). The curiosities in the museum included ancient firearms and musical instruments, a petrified oyster shell, old coins and numerous other articles of an entertaining character. As this was probably the final gathering of a public manner prior to Mr and Mrs Rogers departure for Edgbaston , which is to take place in about a fortnight. Outside the Stockingford Band under the leadership of Mr Morton played selections of music. During the afternoon the executives of the Nuneaton Temperance Federation and the British Women's Temperance Association were photographed by a local artist.